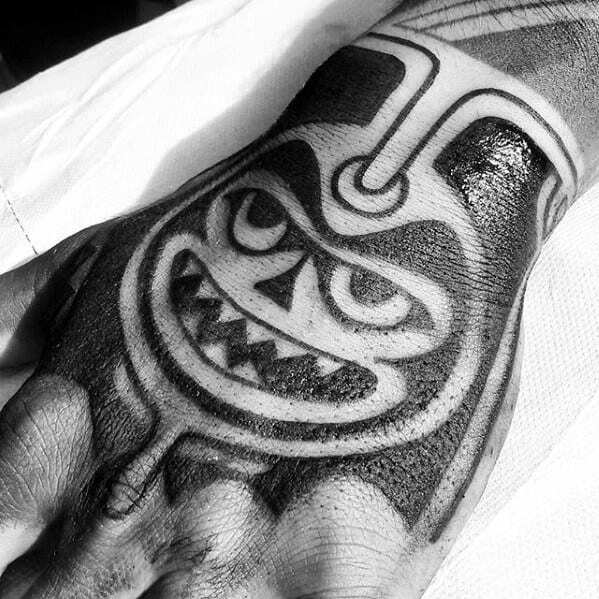 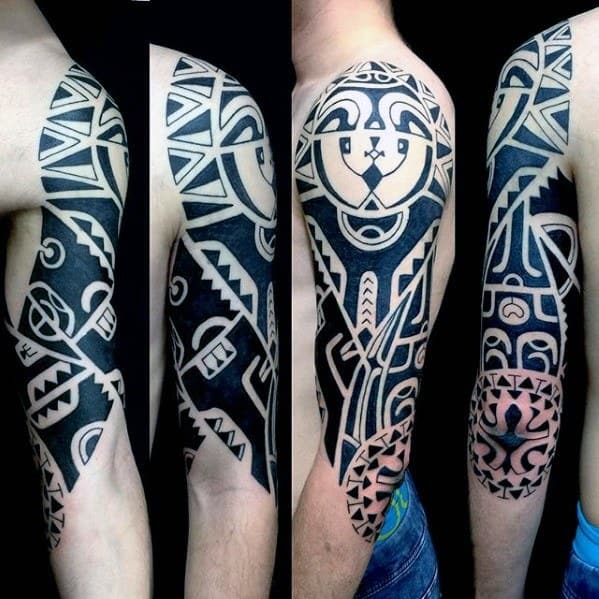 Men of all races and walks of life have inked the emblems of their tribes on their flesh. 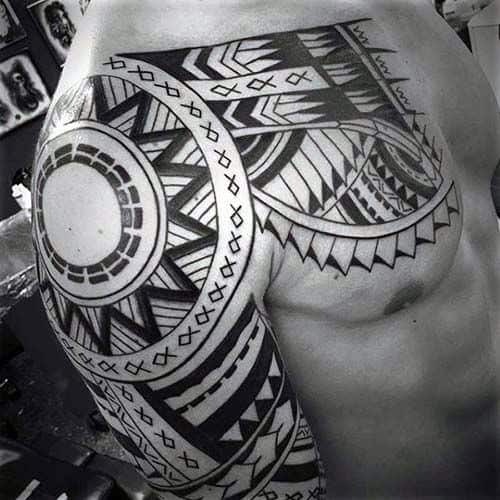 From warriors to spiritual healers, tribal tattoos have not only told the stories of our ancestors, but invoked powerful protection for the wearer and his people. 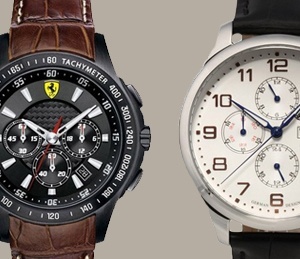 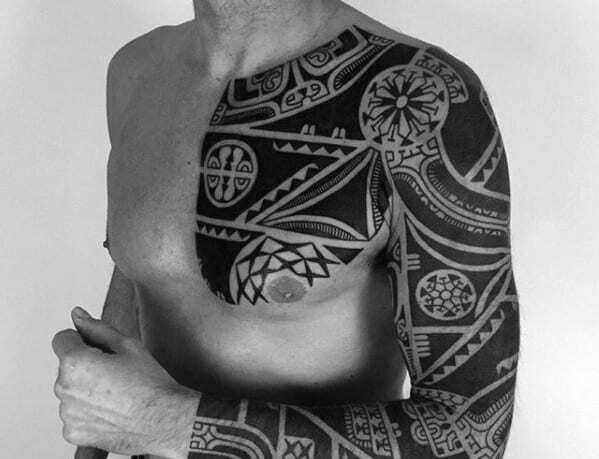 With their stunning but decidedly unpretentious masculinity, is it any wonder many of these ancient markings are still worn today? 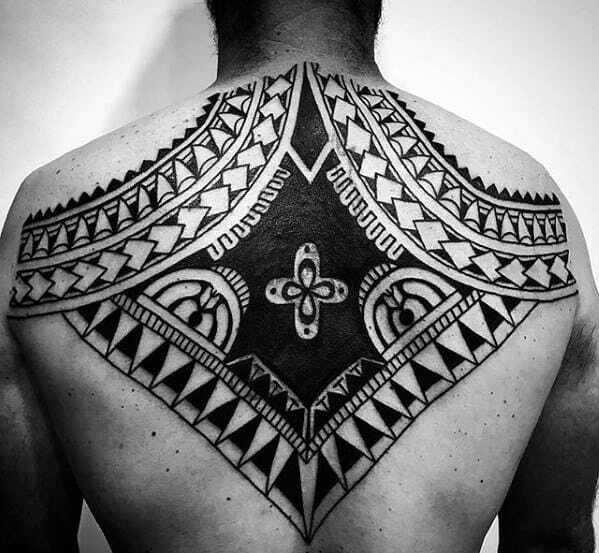 From the Pacific Islands to the jungles of South America, various tribal tattoos denote a specific strength and protection. 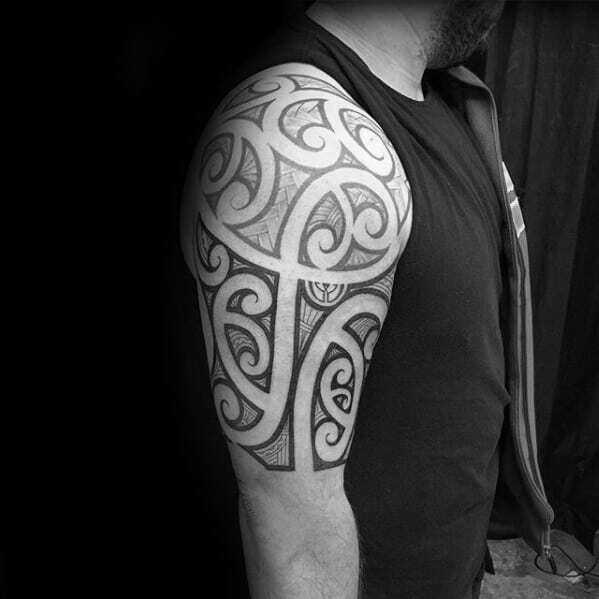 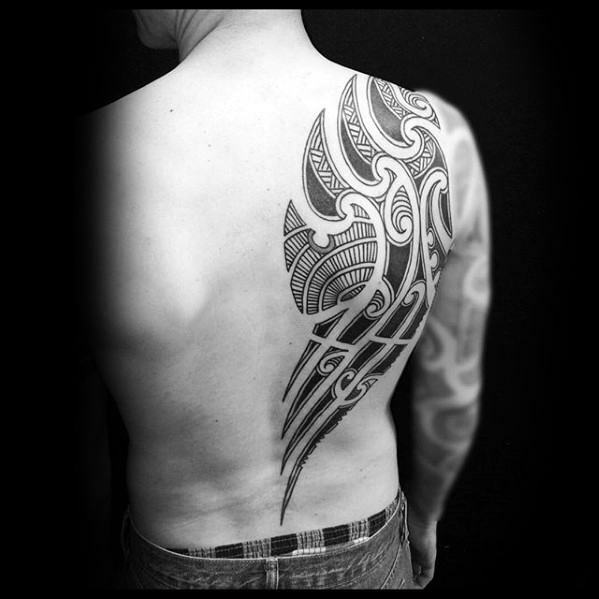 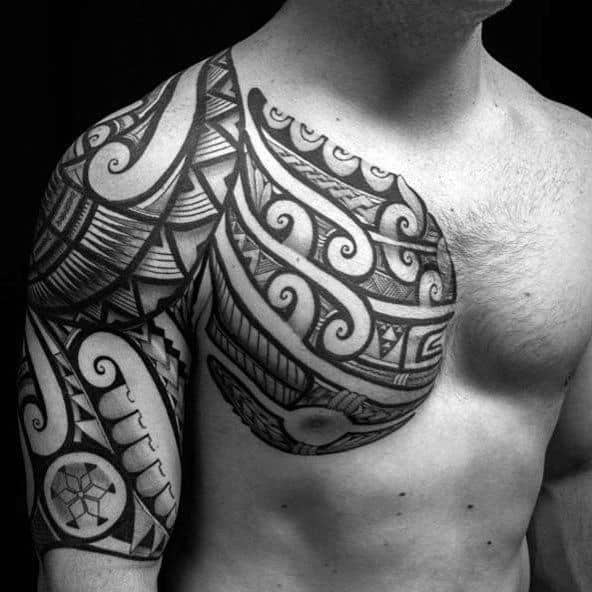 The dramatic Maori tattoos, worn from head to toe, were badges of honor bestowed upon only the fiercest of men. 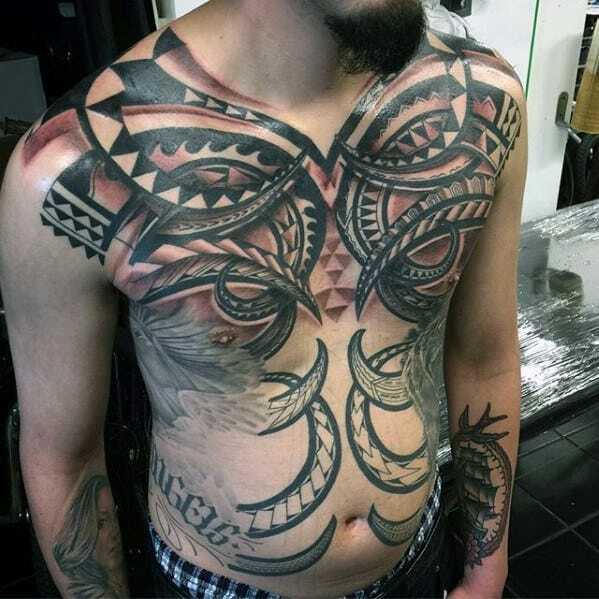 The Native Americans believed that by tattooing one’s spirit animal onto their flesh they were evoking and internalizing the powers of that creature. 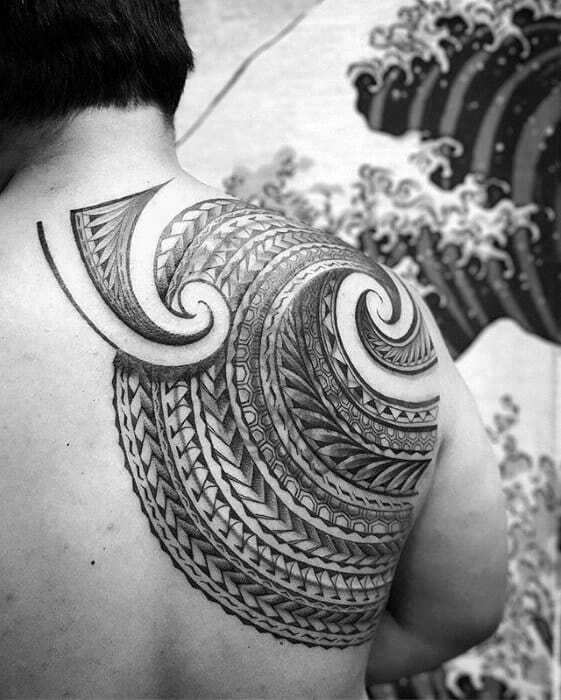 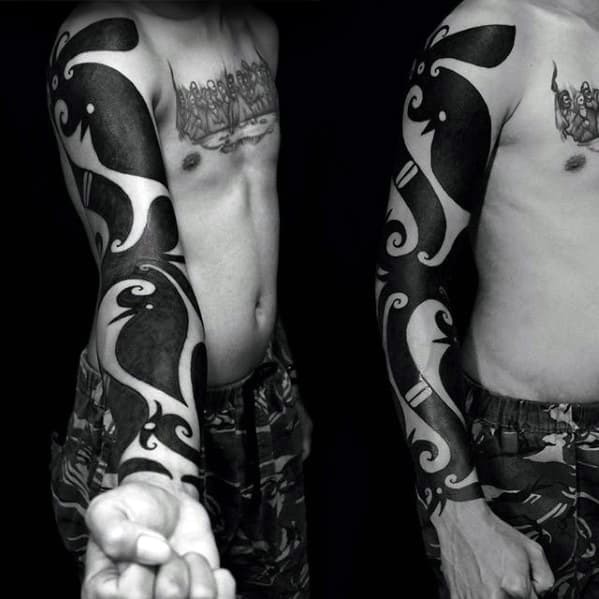 In Asian cultures tattoos were intended to honor one’s family and instill the lessons of their mentors. 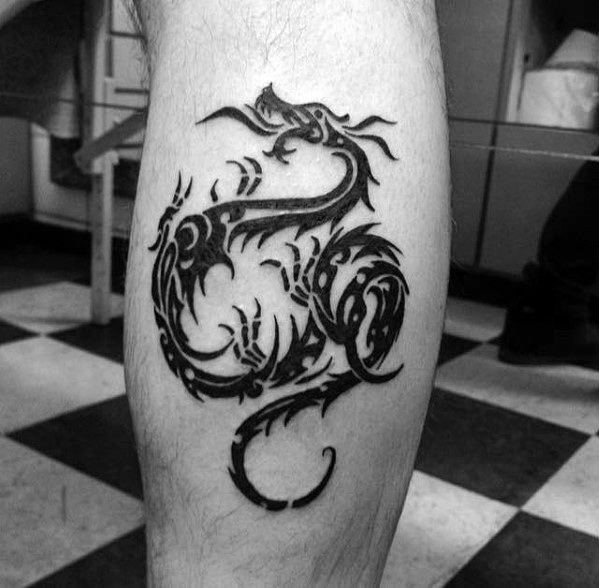 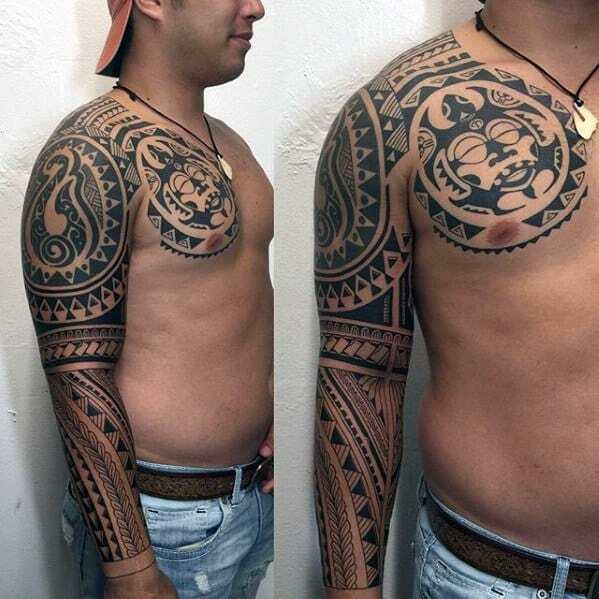 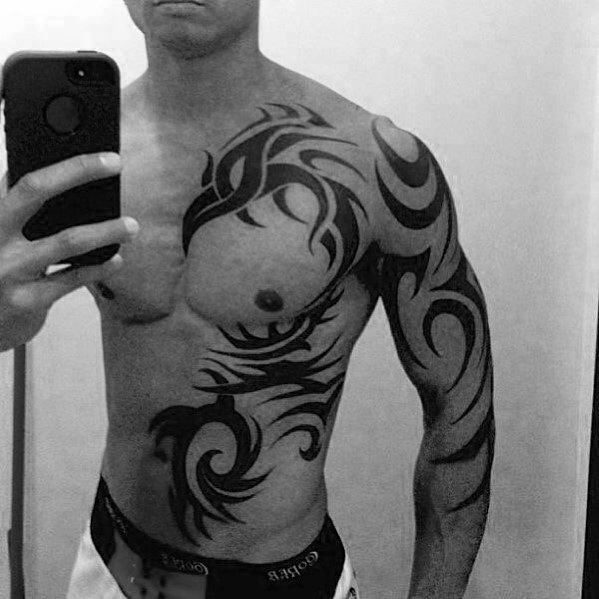 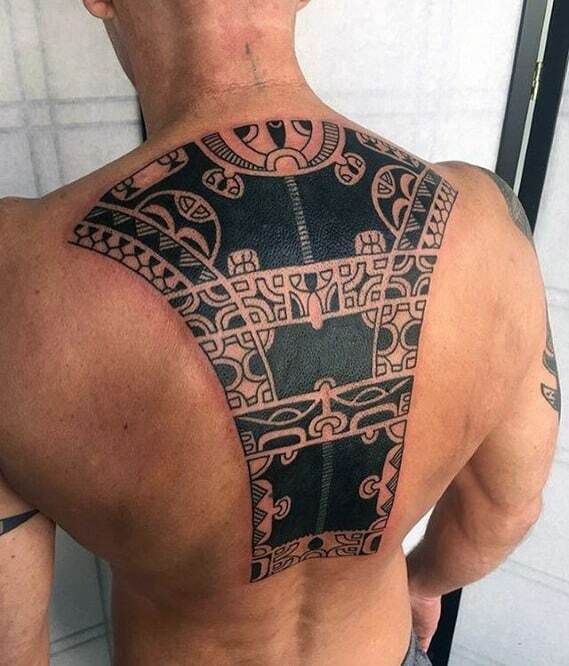 The key to pulling off a truly memorable, frankly badass tribal tattoo is to stay true to what moves you as a man. 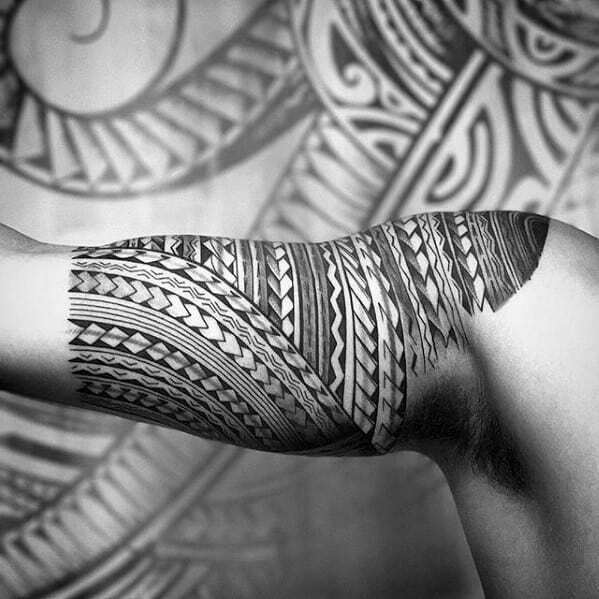 What values do you uphold, and what accomplishments are you most proud of? 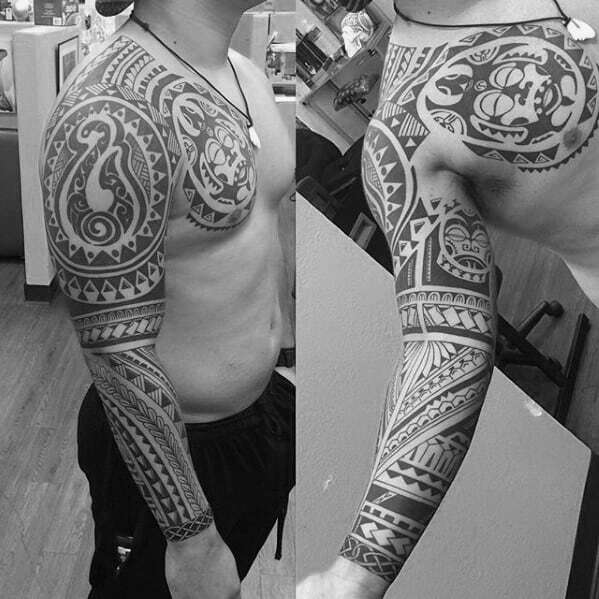 Do you identify with the fearless Maori warrior or prophetic Native healer? 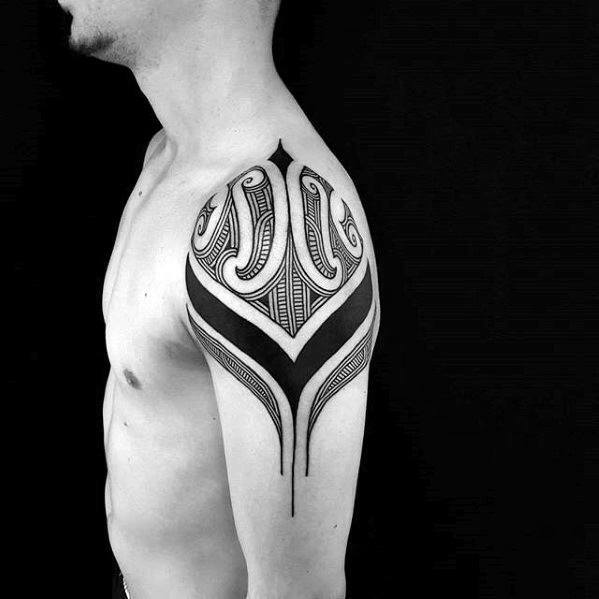 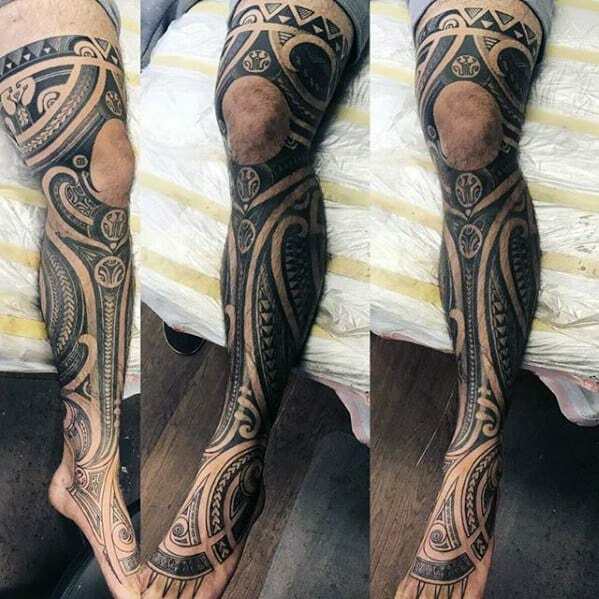 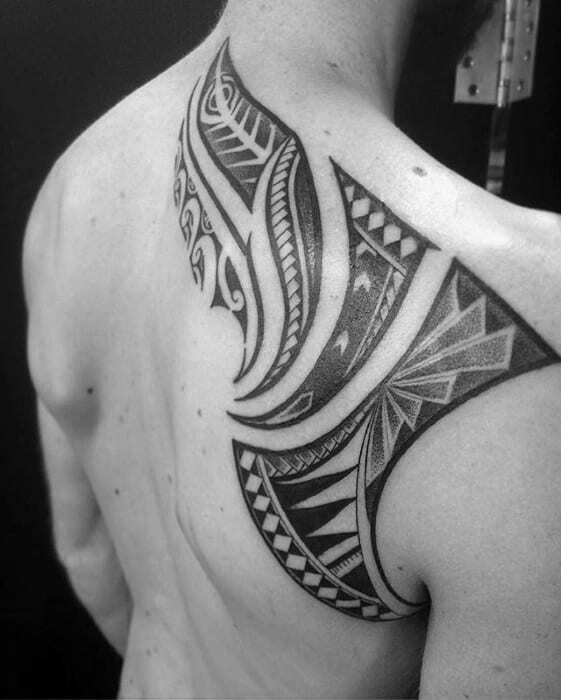 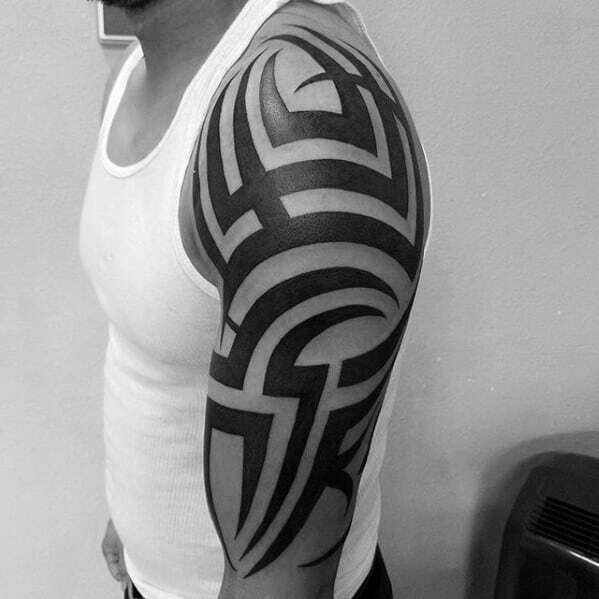 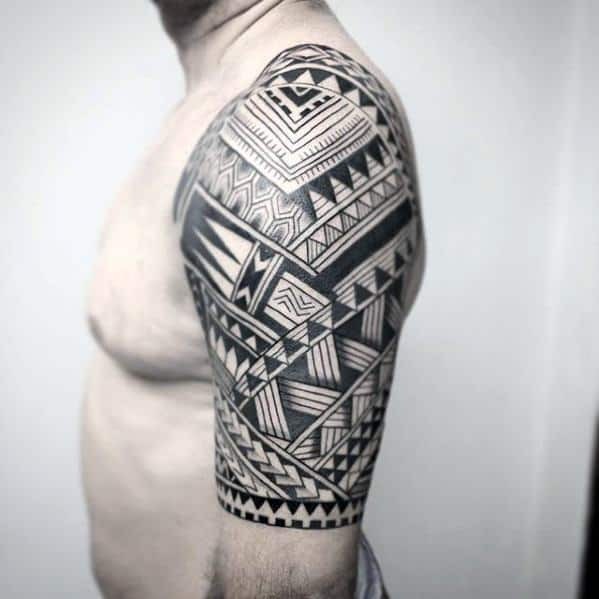 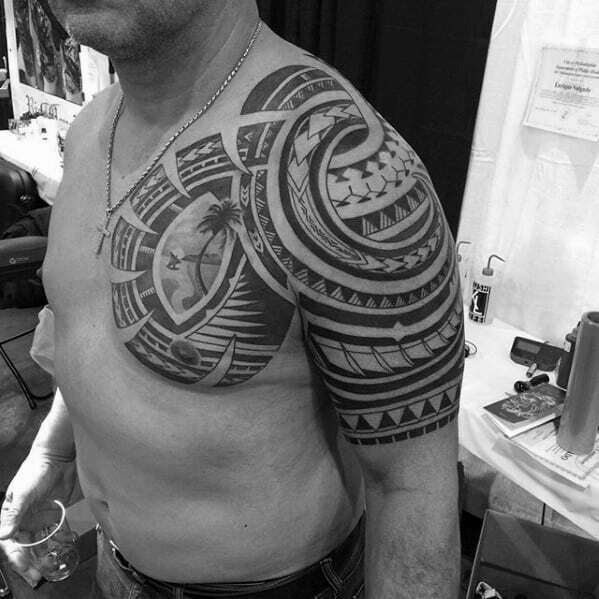 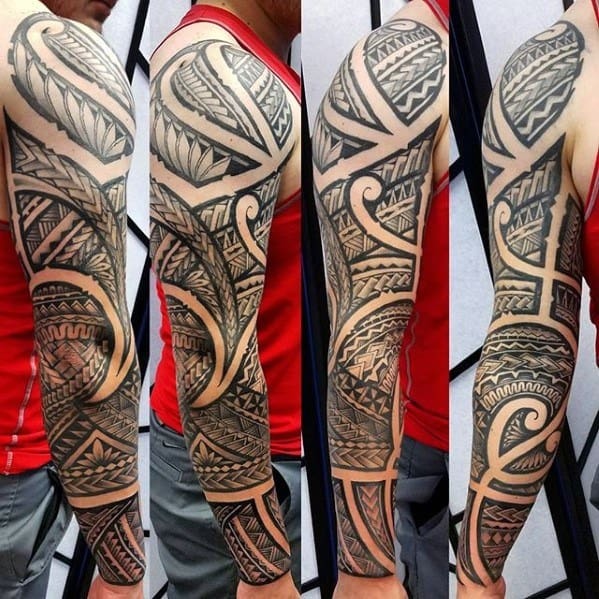 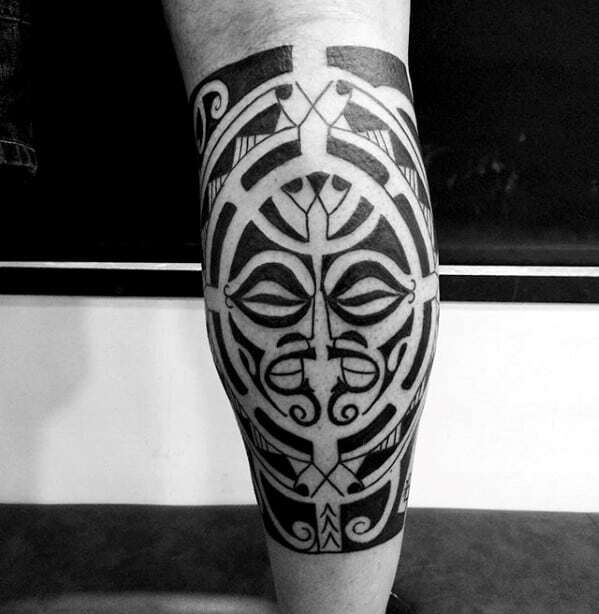 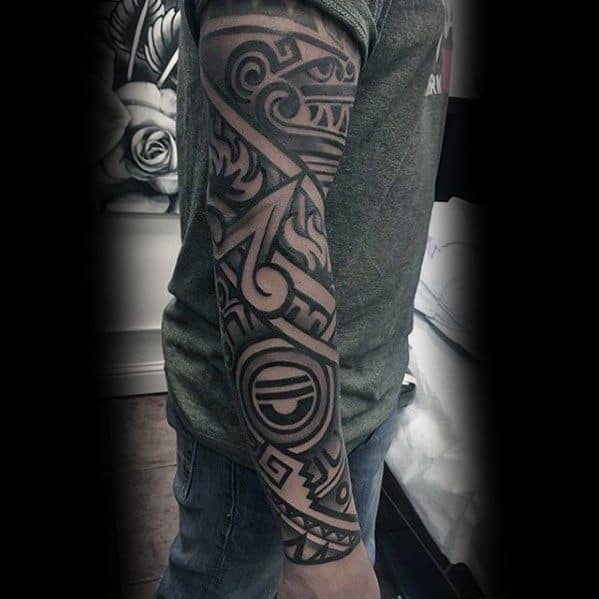 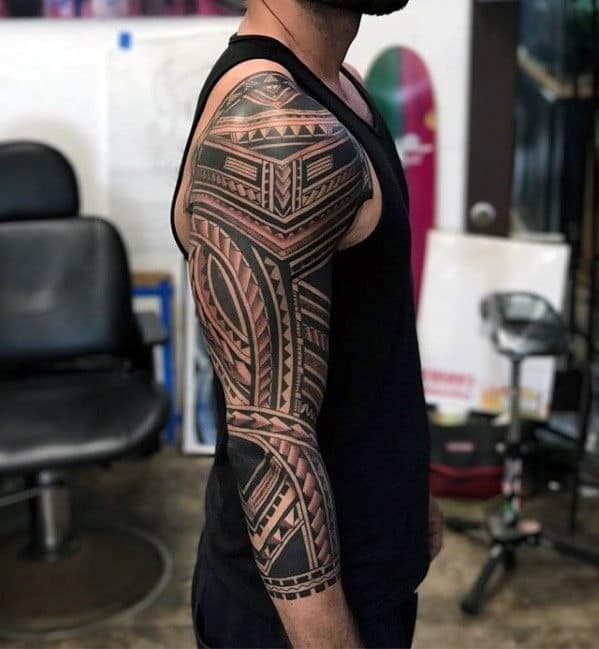 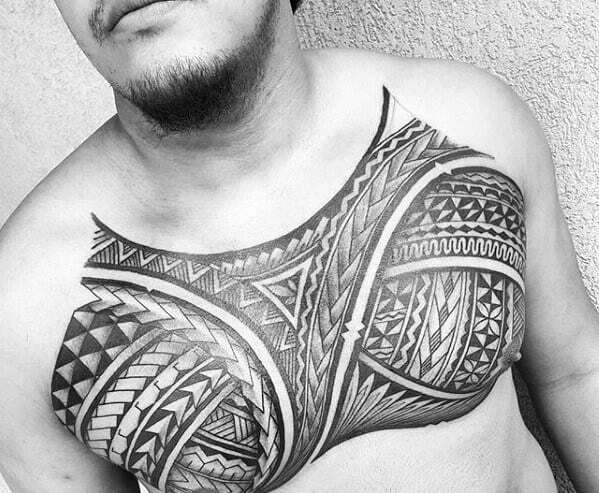 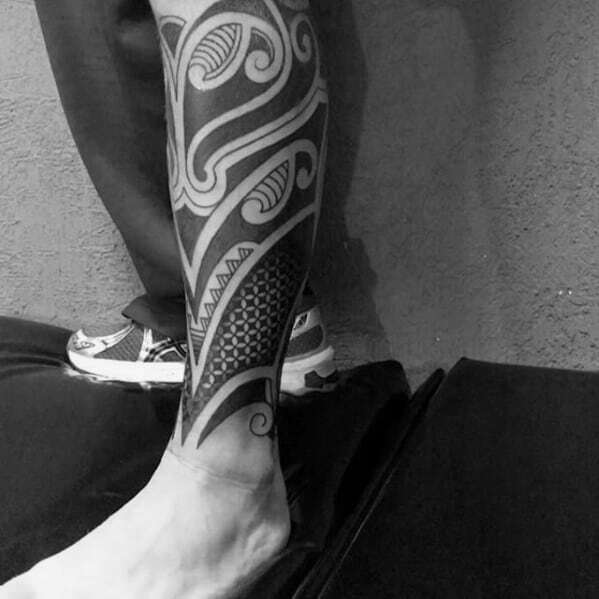 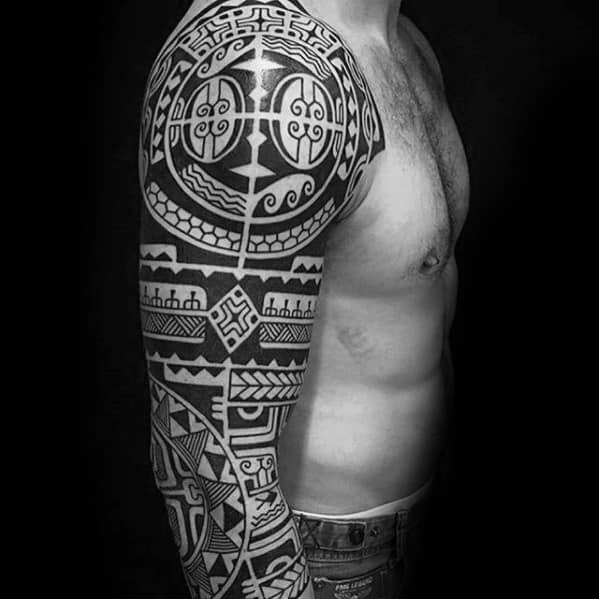 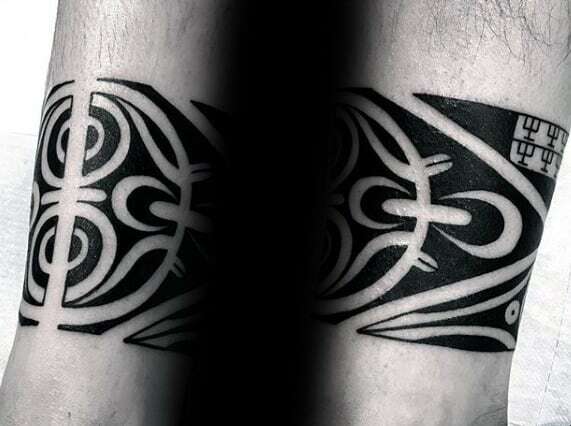 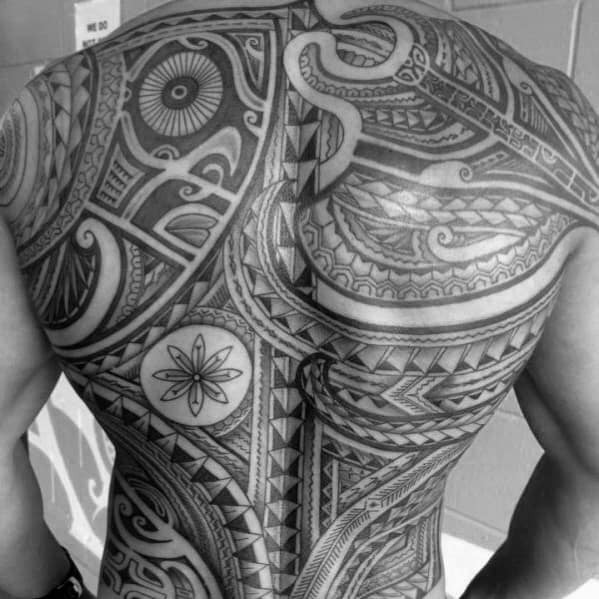 Tribal tattoos aren’t just show-stopping designs worn like armor on the body; they are a man’s at-first-glance introduction and lasting impression. 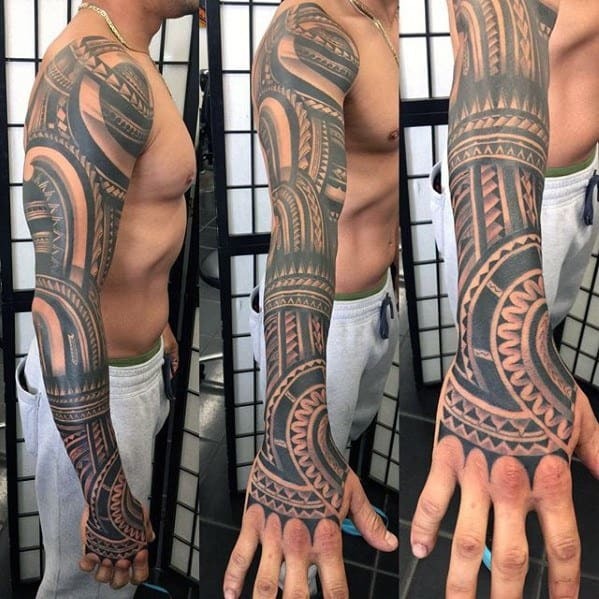 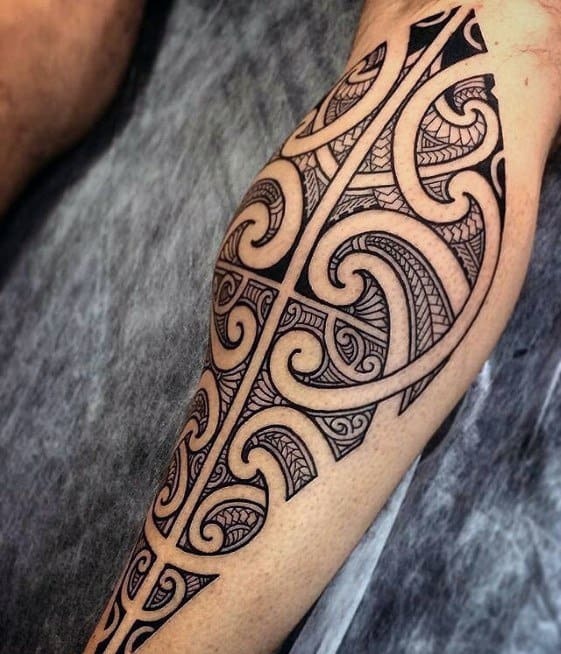 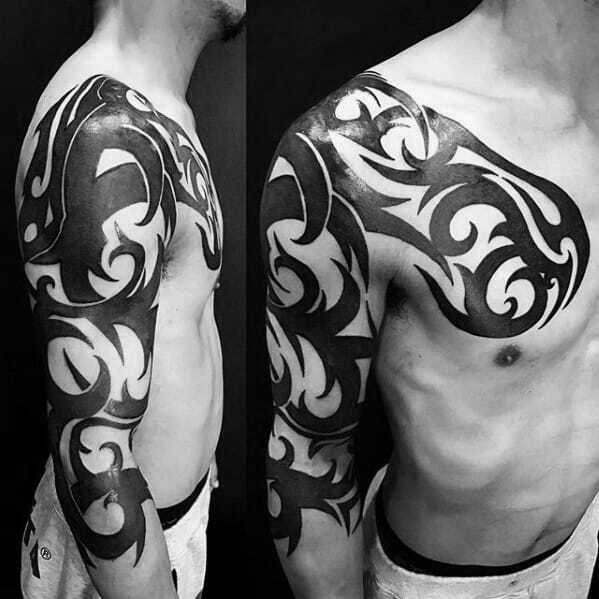 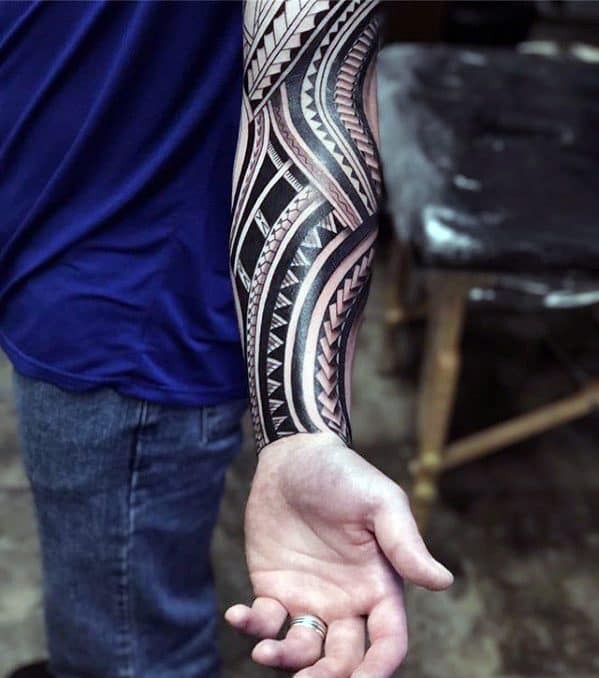 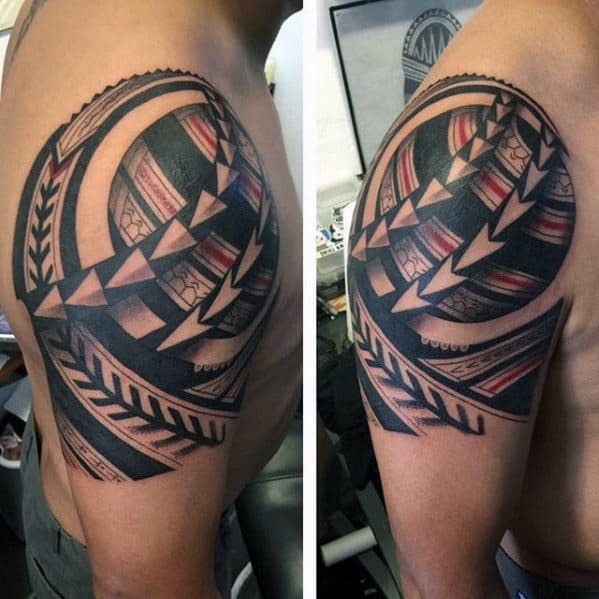 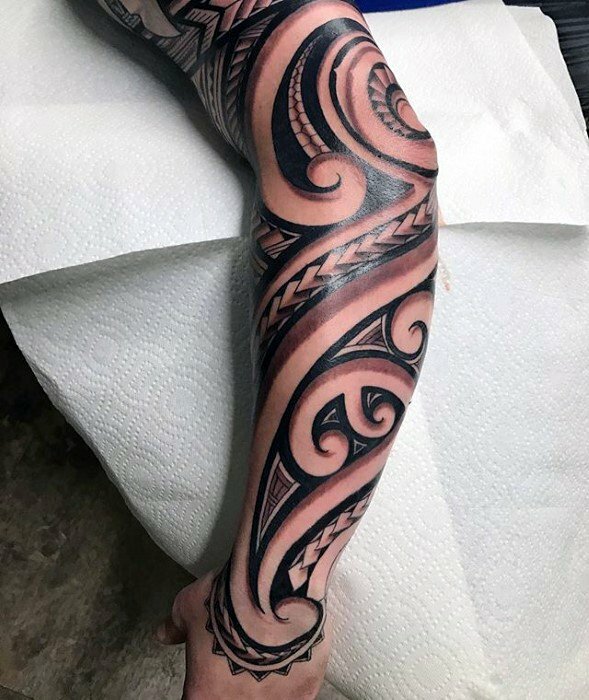 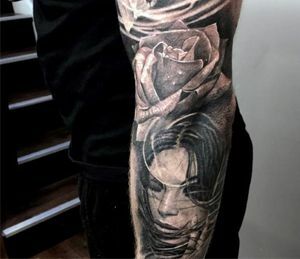 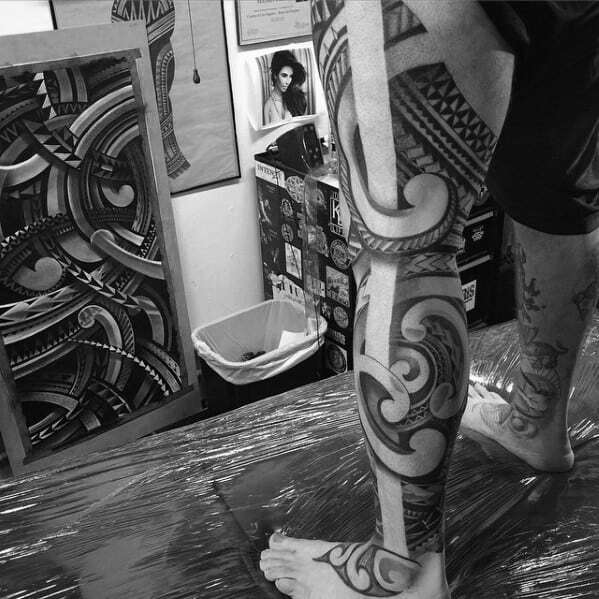 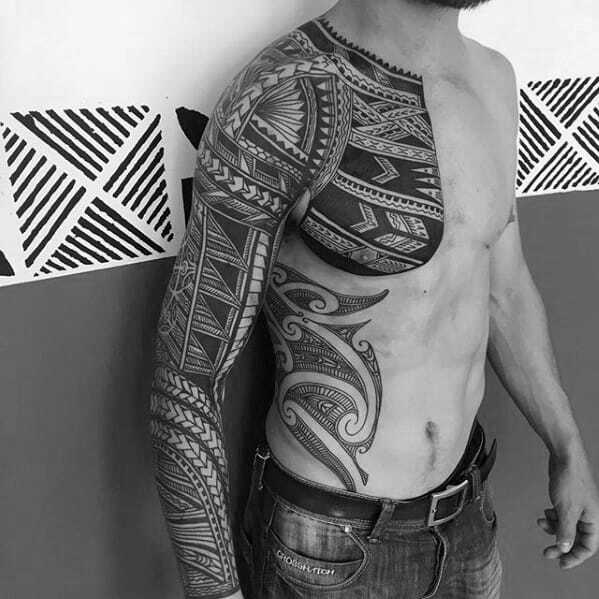 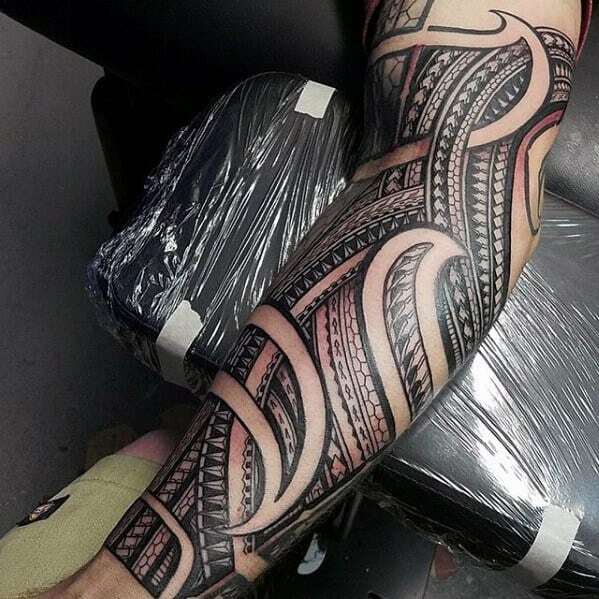 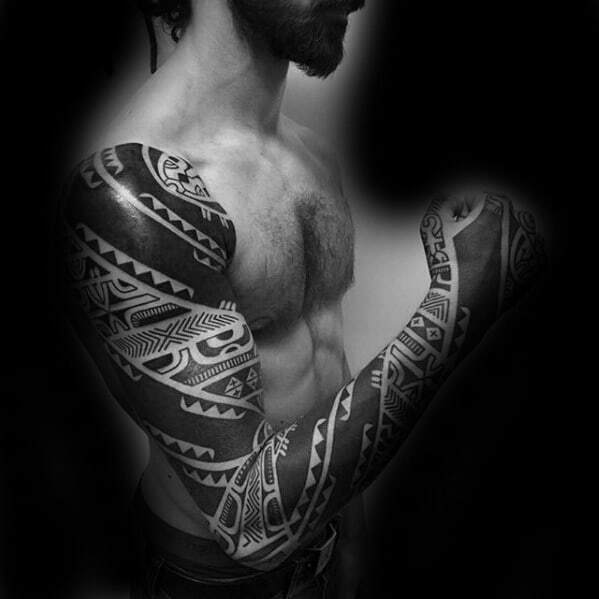 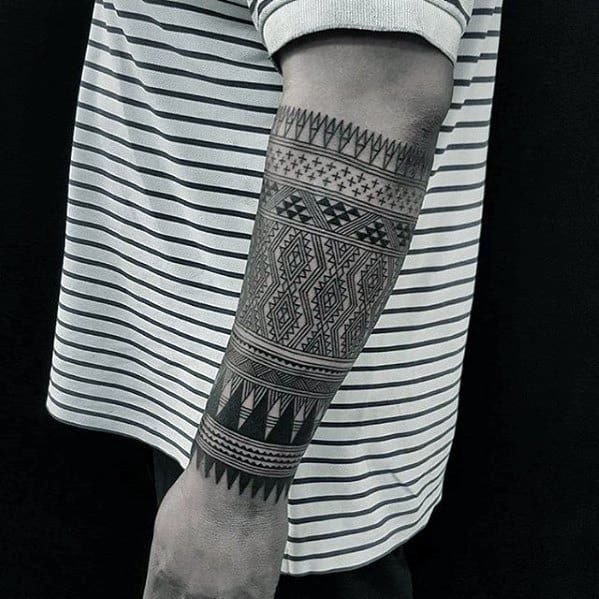 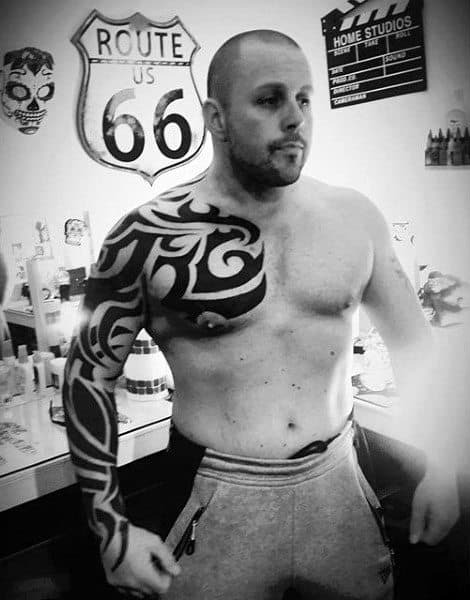 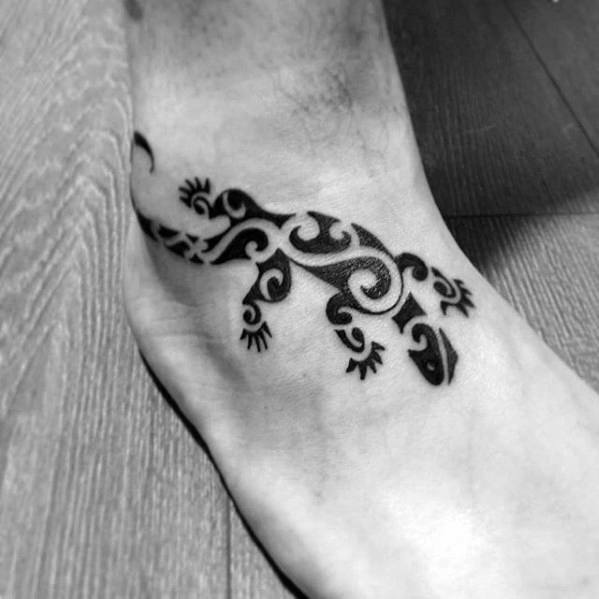 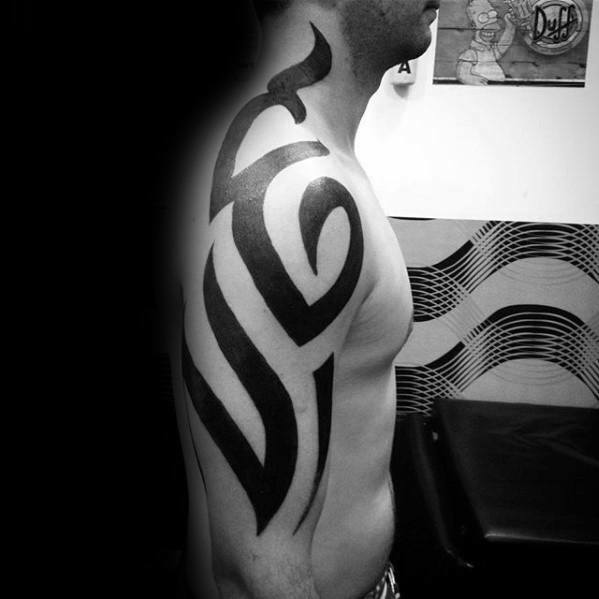 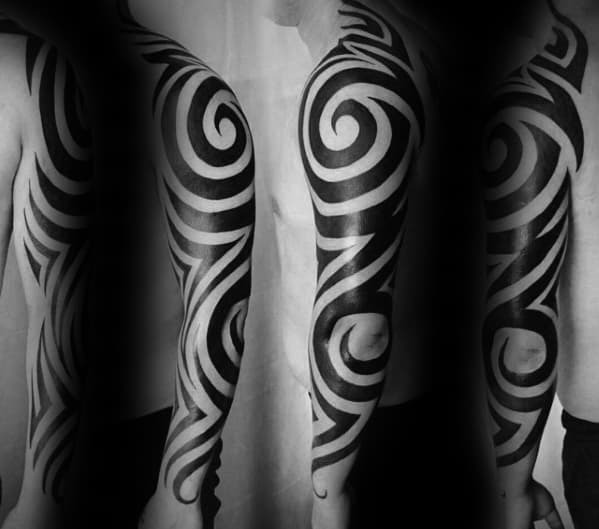 From broad black bands to wave-like patterns, to the barbed and likewise delicate brush stroke, tribal tattoos can truly set a man apart from his peers. 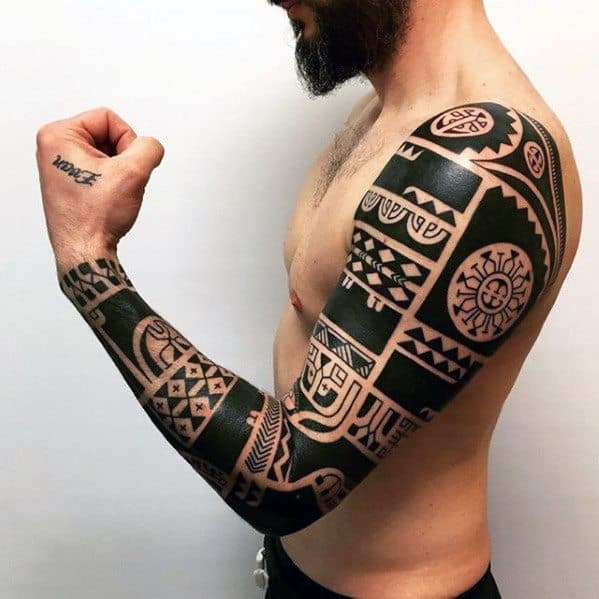 They are the blood and flesh totems he will carry throughout his life, and warnings to those who would stand in his way that he has an unseen but formidable army at his side.